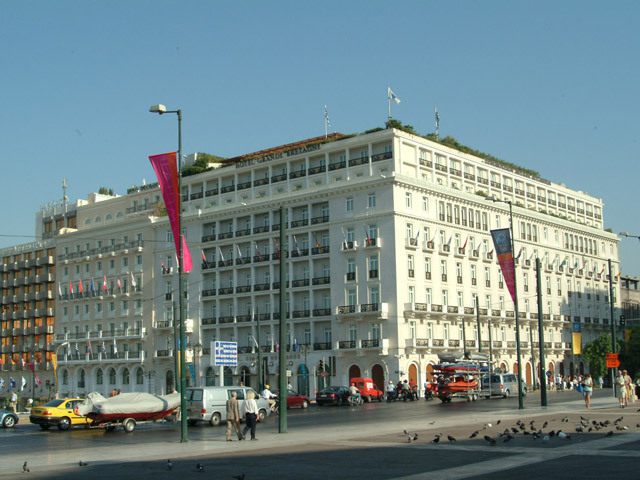 The ELECTRA PALACE HOTEL in Athens is a five-star property in the vicinity of the Acropolis, in the picturesque quarter of Plaka which is located just 3 minutes walk from Syntagma Square, the Parliament and the business and commercial district. All rooms have air-conditioning, mini-bar, sound proof windows, electronic safe box (lap top size), direct dial phone in the bedroom and in the bathroom, Wi-Fi internet connection, satellite TV with pay-movie system, night light, emergency light connected to a power generator, magnifying mirror in the bathroom, hair dryer, bath robes, slippers & smoke detector. 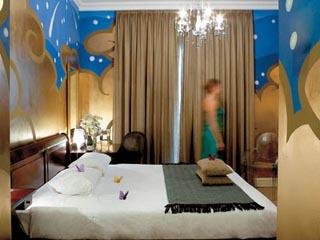 All superior rooms have Acropolis view whilst the suites have Jacuzzi bathtubs and some separate shower. There are five non-smoking floors, 24-hour room service, laundry service on regular & express basis and secretarial service during office hours. The Motivo restaurant is located on the lobby level, along with our traditional Duck Tail bar. 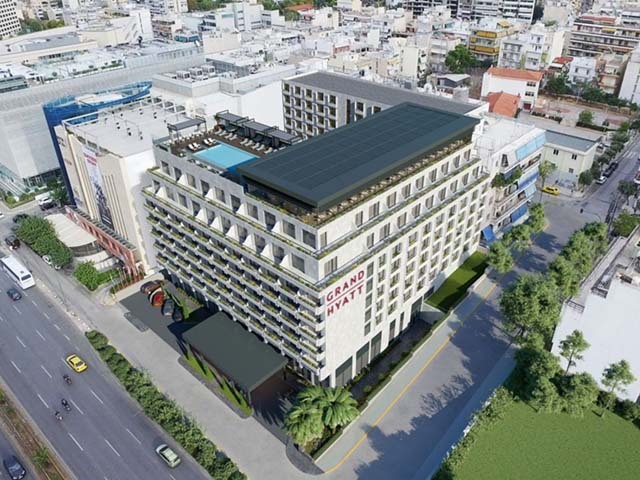 The new treasure, is our Electra roof garden Restaurant, which will entice you with the exquisite taste while overlooking the Acropolis and the old Athenian town of Plaka. On the mezzanine, three day light meeting rooms with total capacity of 200 people are the ideal place for any kind of event, along with the banquet hall on the 1st level with total capacity of 300 people. Size the opportunity to visit the unique relaxation area of The Electra Palace Hotel. Enjoy the warm water of the indoor swimming pool and Jacuzzi, even on the cold winter days. Keep in shape at our gym, feel rejuvenated in our sauna and steam bath and finally release all tension from your body while indulging in one of our many massage treatments by our experienced practitioners. 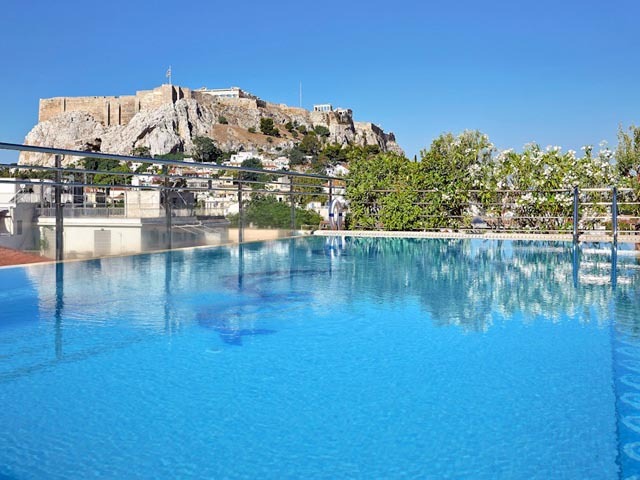 During summer period the outdoor swimming pool with magnificent view to the Acropolis is an ideal place for relaxing and enjoying the Greek sunshine. All rooms have air-conditioning, mini-bar, sound proof windows, electronic safe box (lap top size), direct dial phone in the bedroom and in the bathroom, Wi-Fi internet connection, satellite TV with pay-movie system, night light, emergency light connected to a power generator, magnifying mirror in the bathroom, hair dryer, bath robes, slippers & smoke detector. All superior rooms have Acropolis view whilst the suites have Jacuzzi bathtubs and some separate shower. There are five non-smoking floors, 24-hour room service, laundry service on regular & express basis and secretarial service during office hours. 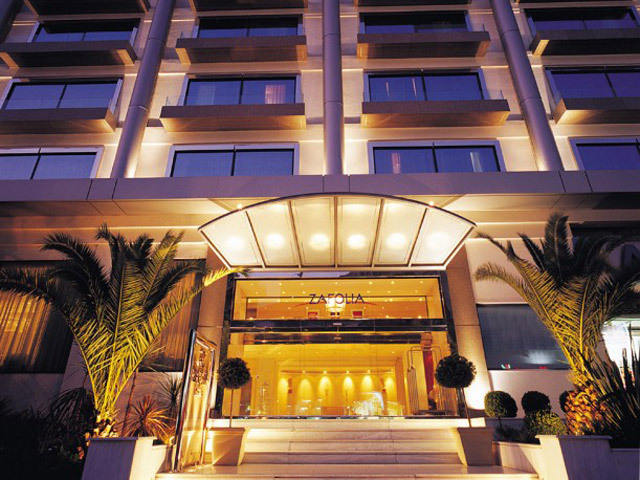 The pinnacle of the Electra Palace Athens experience, both figuratively and literally since it is located on the 5th floor of the hotel, our award winning roof garden restaurant stands out in the Plaka area culinary scene with its fusion Mediterranean cuisine. Only the freshest of ingredients find their way to the Electra Palace Athens Roof Garden restaurant, sourced locally or imported from lands with a tradition in them, to be transformed into a fine dining experience that will delight: delicate flavors, original interpretations of beloved classics, unexpected culinary combinations, live music events and, of course, the stunning Acropolis views from the restaurant, all come together to create an experience that will stay with you for a long time. MOTIVO RESTAURANT : Start your day with a mouthwatering, delicious breakfast: awarded with the Greek Breakfast certification, the Motivo restaurant offers a wide selection of fresh greek breakfast staples, such as fresh fruit in season, bougatsa (custard pie), rusks, greek yogurt, honey and spoon sweets, as well as greek and international breakfast favorites such as toast, sausages, cheeses and cold cuts, eggs cooked various ways, pastries, beans, orange juice, a freshly baked pie every day and much more. Then, come back for lunch or dinner: Motivo in greek means pattern , and you will soon detect the pattern that defines this Plaka restaurant: it is the use of local ingredients of renowned quality combined to create wonderful delicacies: Santorini sun dried tomatoes, olives from Kalamata, goat’s cheese from Larissa and tens of other products, all come together to offer you tasty mediterranean dishes, served in the cool, secluded garden of our Athens hotel, providing the perfect quiet break from a day in the city’s busy center, or the delightful end to a day full of discoveries. DUCK TAIL BAR : Relax after a day’s hard work – or a day’s exploration of Plaka and the Athens center, hold a business meeting; take some time to plan your next adventure; celebrate, with a few select friends and some fine spirits: the Duck Tail bar is your own clubhouse, ready to host your festivities - or your thoughts. Unwind in its soft leather couches. Have a refreshment or a drink from its expert curated selection, or maybe a snack too. Take some time to enjoy its cool garden in the summer or its british-inspired classical décor in the winter – and take some time to revel in your accomplishments. POOL BAR : On the rooftop of the Electra Palace Athens, our all-day pool bar is a cool oasis right in the middle of the Plaka, in the city center. Commanding magnificent views of the Acropolis, it is the perfect spot to soak up some Greek sun while enjoying fresh snacks and refreshing drinks!